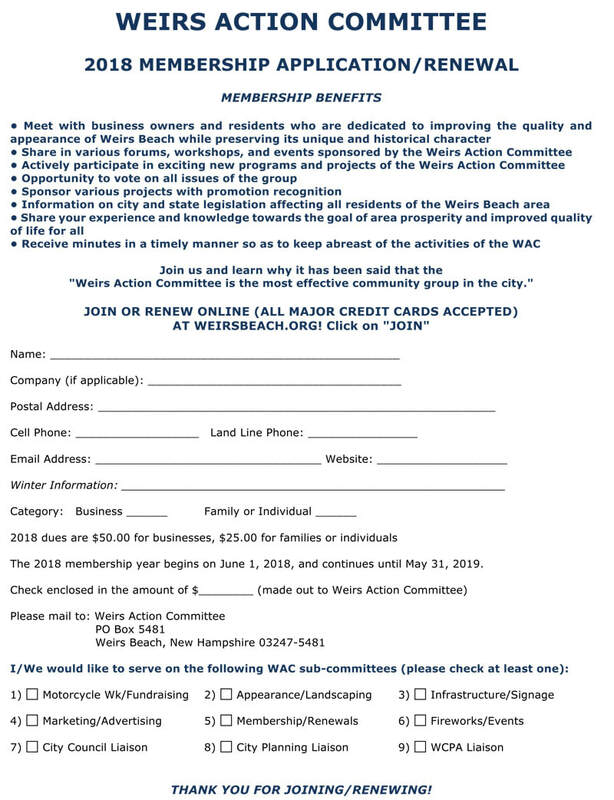 "Weirs Action Committee is the most effective community group in the city." THANK YOU FOR JOINING/RENEWING ONLINE! ​JOIN OR RENEW BY MAIL - PRINT THE FORM BELOW, AND THEN MAIL IN!